A jealous ex-wife keeps coming between her ex-husband and his new fiancé. 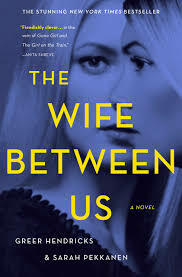 The entire book leads you to believe that the ex-wife, Vanessa, is constantly trying to interfere with her ex’s new relationship out of jealousy and revenge. The new fiancé was just her ex-husband’s mistress, and Vanessa is out to break them up. Richard, her ex, explains to his new fiancé that Vanessa is just a crazy drunk. Is revenge the real reason that Vanessa is trying to stop Richard’s new fiancé from marrying him? This book is filled with secrets, lies, and a great plot twist!